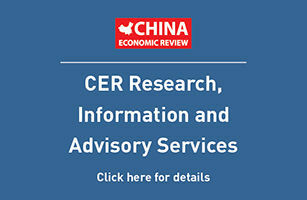 China has raised domestic fuel tariffs for the first time in 10 months in a bid to spur production by refiners including China Petroleum & Chemical Corp (Sinopec; SNP.NYSE, 600028.SH, 0386.HKG) and PetroChina Co (PTR.NYSE, 601557.SH, 0857.HKG), Bloomberg reported. Retail gasoline and diesel costs US$47.58 (RMB300) more per metric ton as of Wednesday, the National Development and Reform Commission, China’s top economic planner, said on its website the day before. The increase is equivalent to an average RMB0.22 hike per liter of gasoline and RMB0.26 for a liter of diesel nationwide. Sinopec and PetroChina, the country’s largest refiners, had been urging the government to increase prices after international crude costs rose earlier this year. The NDRC had held down retail prices to cool inflation, resulting in mounting losses from refining for both PetroChina and Sinopec.